You may already be aware that one of the ongoing technical projects at parkrun is improving our email platform. We are now in a position to migrate event team email accounts from the current webmail system to Gmail. This change will make event email accounts more accessible via mobile devices, more reliable, more secure, and, importantly, more user-friendly. Additionally, teams will also have access to other tools such calendar, photo storage and document sharing that are offered by G Suite. If you are part of an event’s core team, please keep an eye out for important information, including login details, that will be sent to the event mailbox the week commencing Monday the 28th of January. Access to the current webmail account will be terminated on 4 February. Operations Assistant, Nikki Waterfall finished up in her role at the end of December 2018. 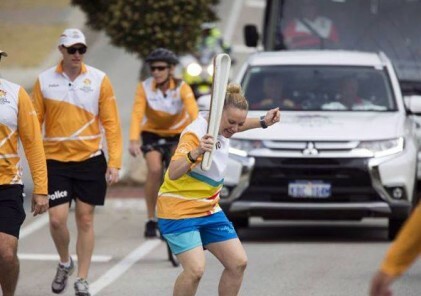 Nikki had a phenomenal impact in the parkrun Australia Operations team since coming on board, made a massive impact across all operations and we already miss her positive attitude! Thank you Nikki. Nikki remains Co-Event Director of Diamond Creek parkrun in Victoria, so if you are ever in the area, head along to DCp and say g’day. 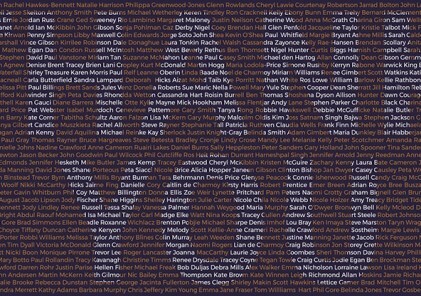 On behalf of all the parkrun Staff, Event Ambassadors, Event Directors, Volunteers and parkrunners, I’d like to say a massive thank you to Nikki. I’ve recently transferred back home after three and a half years working for parkrun in the UK and Ireland, to take on the role of Health & Wellbeing Lead for parkrun Australia and New Zealand. A big part of my role involves looking at ways that we can increase participation amongst groups, and communities, that are under-represented at parkrun and therefore potentially have the most to gain from free, regular, socially-focussed physical activity through walking, running and volunteering. This list isn’t exhaustive of course, but it does provide us with a starting point, and this is where I need your help please. 1. 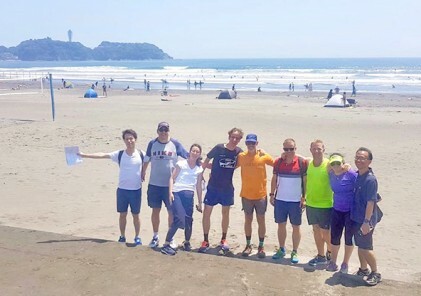 I’m really keen to hear about any localised interventions/projects/collaborations involving your parkrun that are aimed at increasing participation, specifically in Australia and New Zealand. Already I know of events that have Sign Language Briefings to make it more accessible for deaf and hard of hearing parkrunners, events that support Visually Impaired parkrunner takeover days, and staff who support people with mental health challenges, facilitating an introduction between those individuals and their nearest parkrun. It doesn’t matter if these activities are current or historical, or if they worked or not, I would love to know about them please. They all help me to start to understand the current landscape and consider how we might be able to adapt and scale what is already happening, and what else we might be able to do in the future. 2. Building on from that, storytelling is one of the most powerful ways that we spread the word about parkrun to the big wide world, especially when those stories are told by people who on the surface seem the least likely to come along to an event with the word “run” in its name! I know it’s a big ask, but anyone who is prepared to share their story for the parkrun blog – or for my eyes only – is a piece of gold dust. It’s these anecdotal success stories that help us to evidence the impact that parkrun is having on everyday lives. Please encourage anyone who has a story to share to get in touch with either myself or Scott Trickett. 3. Finally, if you know of anyone in your area who works or volunteers for organisations that support people/communities related to the above list, and beyond, and who thinks that parkrun may be able to benefit the people they support, please feel free to pass my contact details on as you see appropriate. Many thanks for your help and support, and if you have any questions or ideas then please feel free to pick up the phone +61 473 304 047. Children are a wonderful part of every parkrun community and we encourage them to volunteer with the operations of their local parkrun events. 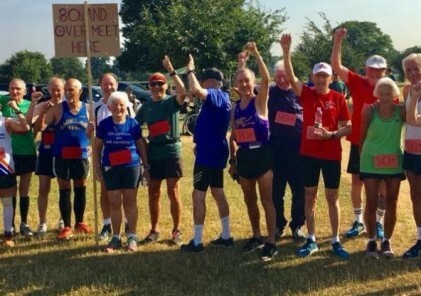 Participation through volunteering in community events such as parkrun can be a positive experience and opportunity for children, provided it is age appropriate. parkrun Australia encourages volunteering by children as a means of personal development, and for the value that it also brings to parkrun Australia events. Children wanting to volunteer should approach their local Event Director along with their parent/s to talk about how to do so. Remember, children under the age of 11 must be within arm’s reach of a parent, guardian or designated adult of the parents’ choice at all times – this includes when volunteering. Those aged 11 or over can volunteer without their parent or guardian but should be within close proximity of a responsible adult volunteer. This is providing all parties are comfortable with this arrangement. Children can volunteer as tail walkers and/or marshals if accompanied by an adult volunteer. Event Directors must be aged 18 or over. Those under the age of 18 can be Run Directors, if accompanied by an adult Run Director. As with all volunteers, event teams must provide junior volunteers with a high-vis vest, provide adequate training in the relevant role, and also give them clear information about what to do in the case of an emergency or if they require assistance. If you have any questions about this or any other safeguarding concern, please get in contact with me via safeguardingau@parkrun.com. Every week we review every single incident that has logged with us over the previous weekend. We categorise each one as either a dispute, medical, operational or safeguarding issue, or sometimes as a combination of several of those, and they are also graded for severity. You may hear from one of us at Head Office if we consider your incident warrants further investigation, and you are equally welcome to contact us via Event Support if you have any further information to add to one of your incident reports too. After review and/or once we are satisfied with any follow-up activity, we archive each report on the system. All incidents should be recorded by completing an incident report form via WebFMS during results processing. Please only record one incident at a time – use the ‘Add Additional Forms’ button to report any further incidents. If you discover that an incident occurred after you have processed your results, report it afterwards using the ‘record incidents’ option available via the menu on WebFMS. Please ensure that you provide plenty of information – in particular the names of the people involved and their parkrun ID (whenever possible). Consider the wording and list any actions taken very carefully as these may need to be referred back to at a later stage in the case of a serious incident. Repeat incidents may need to be linked to your Risk Assessment and/or you may need to consider altering your course to negate a perceived risk. As a courtesy please also inform your Ambassador and the landowner if a serious incident occurs at your event. Every weekend a phone line is covered on a rota basis to provide support for you and your event. If the number is engaged please leave a message and someone will call you back as soon as possible. All serious incidents (which includes every instance of any of the emergency services being called) should be reported to us via this number once you have dealt with the matter at hand. You should also inform your Event Ambassador of any serious incidents. Please note that this is also the number to ring if you require any emergency contact details. Across Australia, Singapore, and Malaysia, a total of 1,715 incidents were recorded in 2018. Thank you for being so proactive with this. In Australia, we give a warm welcome to new Event Support Ambassadors, Belinda Smith (QLD), Pete Johns (Vic) and Gerard Corkeron (VIC), who have joined the Event Ambassador team. Roger Lancaster and Nigel Coey, both from Victoria and John Lawrie from South Australia have stepped down as Event Ambassadors. Roger, Nigel and John have been involved with parkrun in various capacities for a number of years with parkrun in their local communities. A massive thanks for all the support and help they have provided to events and volunteers, and we wish them all the best in the future. A reminder that in Australia we now have a tech support phone line available to all event teams. The tech support line will be manned every week by a dedicated volunteer who will be there to assist teams with questions and assist with challenges they may be having with results processing. The number to call is +617 3053 8786 (Australia). Please remember that the tech support line is manned by volunteers. Please do not worry if you don’t get an immediate reply. A direct line for New Zealand, Singapore & Malaysia is planned for the near future. 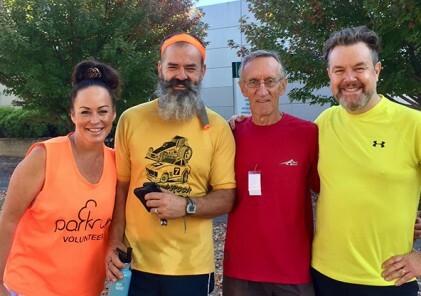 parkrun Australia is looking for extraordinary Event Directors and Run Directors who are happy to share their knowledge and experience and go behind the scenes to support and grow parkrun events across Australia as an Event Ambassador. More information can be found here. We love to see happy dogs at our 5k events, but please advise your participants to consider whether the weather conditions are suitable to bring them along, particularly in the heat. The dogs’ welfare remains the responsibility of their owners throughout their parkrun visit. Regarding heatstroke in dogs, UK-based animal welfare charity the RSPCA have published these excellent guidelines. When you are on the roster as Run Director, you are the point of contact for the day and the person responsible for the safe delivery of your parkrun event. When the good things happen, you should be there to celebrate. If there are any issues, you should be there to sort it out or assist as required. 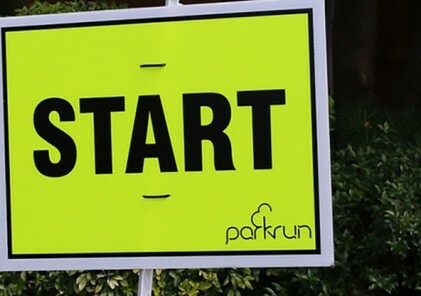 It is important to note that when on duty as Run Director, you must not run or walk or take on any of the following volunteering tasks: pacing, lead bike, tail walking, timekeeping, barcode scanning, finish tokens, photographer or marshal. While it may be easy to multi-task, we want the Run Director to be available to assist volunteers as needed, socialise and chat to parkrunners, and be available at all times. If you are on stopwatch duty, you may not seem approachable. While you can stop barcode scanning if there is an incident, whenever possible, we want the event to continue as normal while your attention is elsewhere. If you have any questions or would like to discuss this further, please chat to your Event Ambassador. We offer a free, weekly, timed 5km event. We also operate a strict “no printed barcode – no result” policy at all our events. It is really important that this policy is consistently enforced across all parkrun events. Whilst it may seem that you are doing someone a favour and it’s a quick process to add someone’s barcode in for your event, at other parkruns, if they were to add every person who forgets their barcode, it would add significant time and unnecessary stress to what should be a simple event. As well as this, recently we have had reports of volunteers being abused for correctly implementing this policy by parkrunners who have had their barcode manually entered at other parkruns in Australia. This is absolutely not acceptable and we will not tolerate this at any of parkrun event. As you can see, this inconsistency of policy implementation on the wider parkrun community has a big negative consequence. As a community of parkrun events we must work together and support each other to ensure this “no barcode – no time” policy is consistently applied. We want everyone, whether they are a parkrunner or volunteer, to have a positive experience at our events and by all being on the same page and communicating to our teams and parkrunners that this is what we do, at every parkrun event, we can ensure that each parkrun experience is the same, awesome experience. Click here for a fantastic insight from Tom Williams, parkrun Global COO on the podcast ‘Free Weekly Timed’. We’d like to say thanks for your continued passion, enthusiasm and commitment to parkrun and we look forward to growing parkrun with you in 2019.